Residents in Fishbourne fear housing targets for the village will mean building on a prized farmland site and a squeeze on infrastructure and community services. Fishbourne parish has been allocated 250 new homes in the Local Plan Review, five times the allocation in the parish’s existing neighbourhood plan. Since all suitable housebuilding sites in the parish can only account for 200 homes, the parish committee responsible for deciding where those homes go has said it will lead to building on Bethwines Farm, a much treasured agricultural space. Writing to the Observer, the neighbourhood plan steering group said building on the farmland would ‘remove from the community their right to choose where building should take place’. It said the ‘enforced breaking’ of parish council policy ‘would lead inevitably to the whole farm being used to provide 1,000 homes’, losing top quality productive farmland, valued views between the harbour and the South Downs and a wildlife habitat. There are particular concerns the site will add to ‘rat-runs’ down the narrow Blackboy Lane. The steering group disagreed with Fishbourne being defined as a ‘service village’ in the Local Plan Review as the village had ‘no shops, no banks, no doctor’ and ‘a halt’ instead of a railway station. 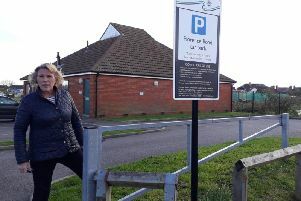 There are also worries the 1,000 homes allocated across Fishbourne, Chidham and Bosham will contribute to congestion on the A259 and Fishbourne roundabout. The steering group is asking the district council to allow it time to carry out an independent assessment of traffic modelling for the area. The Local Plan Review states community facilties, infrastructure and education spaces could be assessed in its Infrastructure Delivery Plan and updated as required. Consultation is open until February 7.